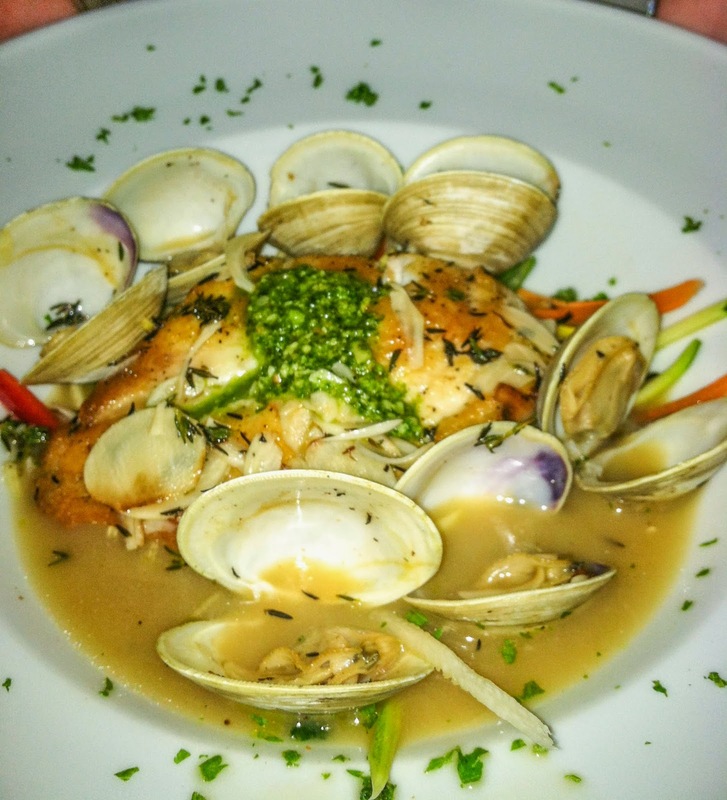 If you are looking for delicious, Gulf of Mexico seafood, Blue Marlin is where you will want to eat. 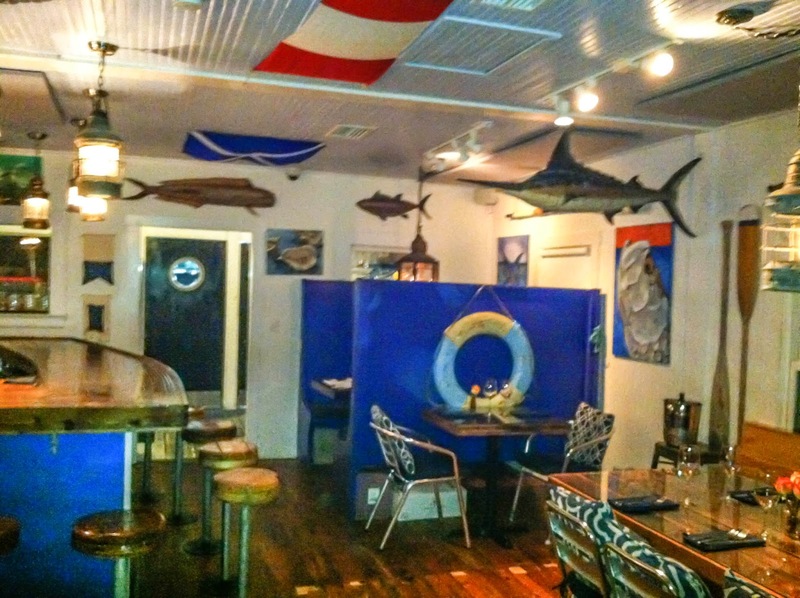 Located in downtown Bradenton Beach, Blue Marlin is a small 1920s cottage converted into a rustic restaurant. Blue Marlin offers weekly specials with fresh seafood from local fishermen. As appetizers, we tried the BBQ scallops. 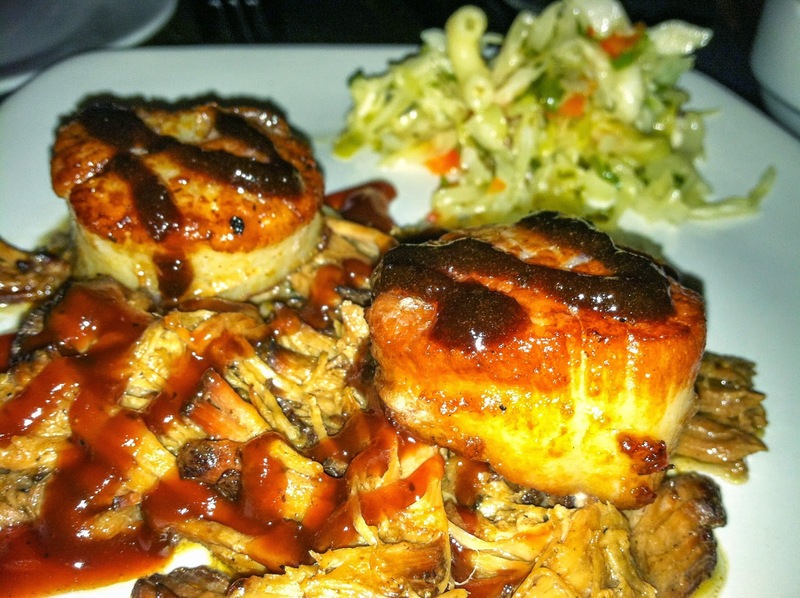 The scallops were seared perfectly, laying on top of mouthwatering pulled pork, alongside homemade coleslaw. 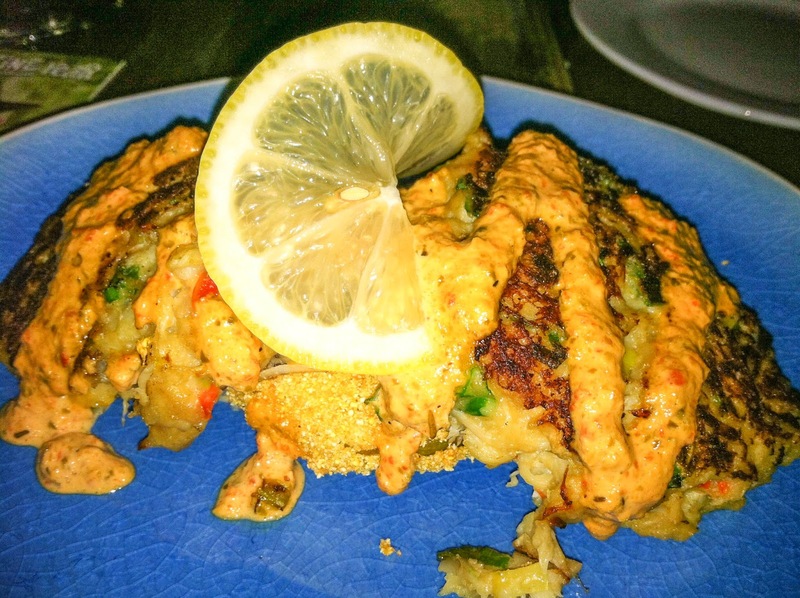 For a second appetizer, we tried the crabcakes that were on top of a fried green tomato. We both agreed they were finger-licking good! For my entree, I order the snapper with fresh, steamed Florida clams. It was refreshing to eat seafood that was so fresh! 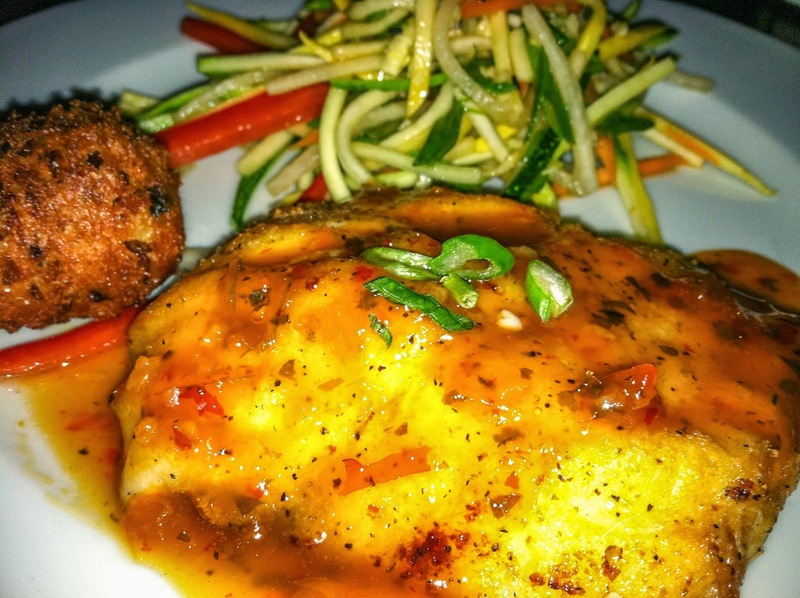 Brian ordered the Thai Snapper dusted and sauteed with a Thai chili citrus glaze with an oriental veggie "noodle" salad. Overall, I would highly recommend a visit to Blue Marlin. Make sure you call ahead to make a reservation at 941-896-9737.